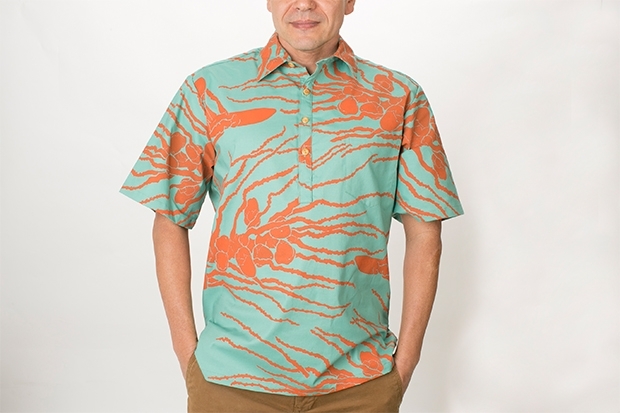 With Father’s Day fast approaching and graduation in full swing, the Museum Shop hosts an aloha shirt pop-up shop, featuring three exciting designers, on Saturday, June 3, from 11am to 2pm. This shop event coincides with the Members’ Summer Splurge Sale—museum members receive an additional 10 percent discount at the Museum Shop through June 4. 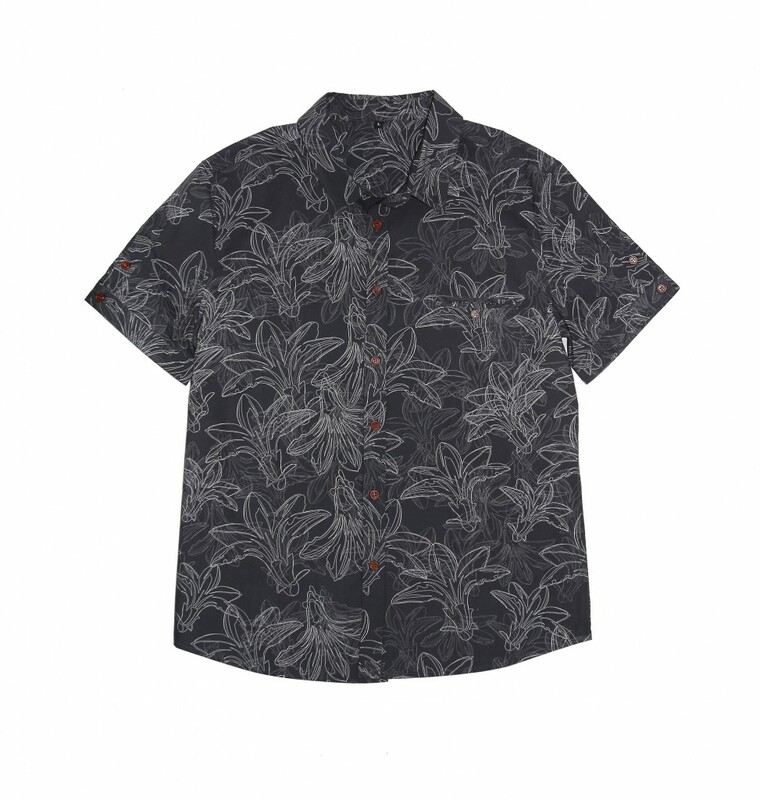 Founded in 1999 by David and Dede Kim, ‘Ōiwi Ocean Gear recently added aloha shirts to its line of active wear. 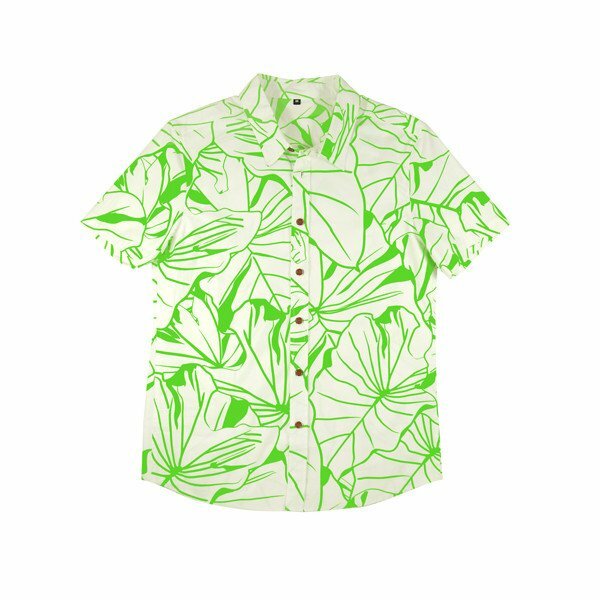 Honolulu veteran clothing designer Nake‘u Awai, known for his timeless island wear, initially pursued an entertainment career that led him to Broadway and Hollywood. Eventually, he returned home where he found his calling in fashion design. He doesn’t have a retail shop with regular hours (though he is based in Kalihi)—so take advantage of this event to get some of his creative prints. Colleen Kimura’s popular bold, vibrant prints “come from the color and shapes of leaves, fruit, fish and geometric motifs; from the natural environment and cultures of Hawai‘i, Polynesia and Pacific Islands,” she says. Big news: Kimura introduces three new designs at the Museum Shop event. I would like to order one of these shirts online. Is that possible.